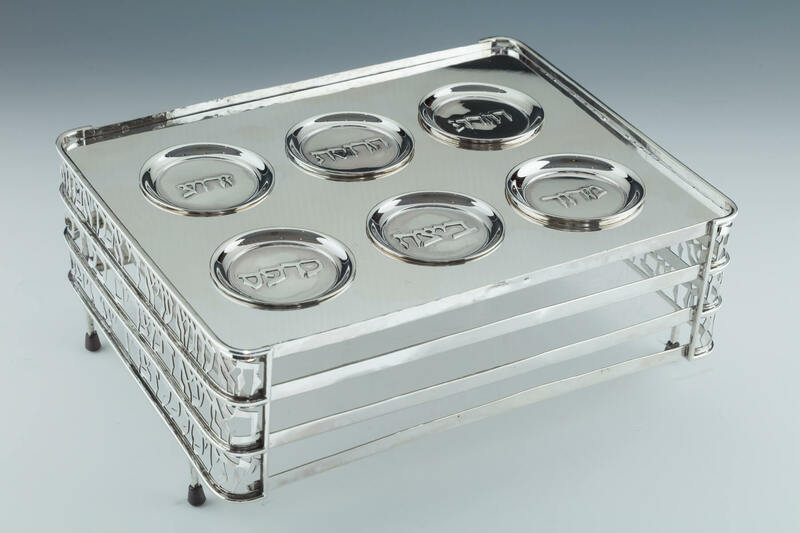 A STERLING SILVER PASSOVER COMPENDIUM. Israel, c. 1970. The sides decorated with cut out Hebrew letters related to the Seder. Upper portion with six dishes to hold Seder related foods. 10.5” x 8.5”.